In August Tesla ran events for potential fleet buyers to view the Model 3 in anticipation of the 2019 launch. To get ready for the expected sales increase Tesla’s with the release of Model 3, Tesla has officially launched mobile servicing and a new Service and Delivery centre in Sydney. In addition, Tesla is continuing to expand its Supercharger network across the country. A Tesla spokesperson claims that over 80% of repairs are possible without customers visiting a Tesla Service Centre, mobile servicing will allow Tesla owners to have their vehicles serviced wherever they are, at their home or office, quickly and quietly by a Tesla technician. The program, which is already available in the US and UK, uses a fleet of all-electric Tesla vehicles and does not incur any additional costs than servicing at one of Tesla’s service centres. The introduction of mobile servicing in Australia is part of Tesla’s efforts to double our global mobile service fleet throughout 2018. 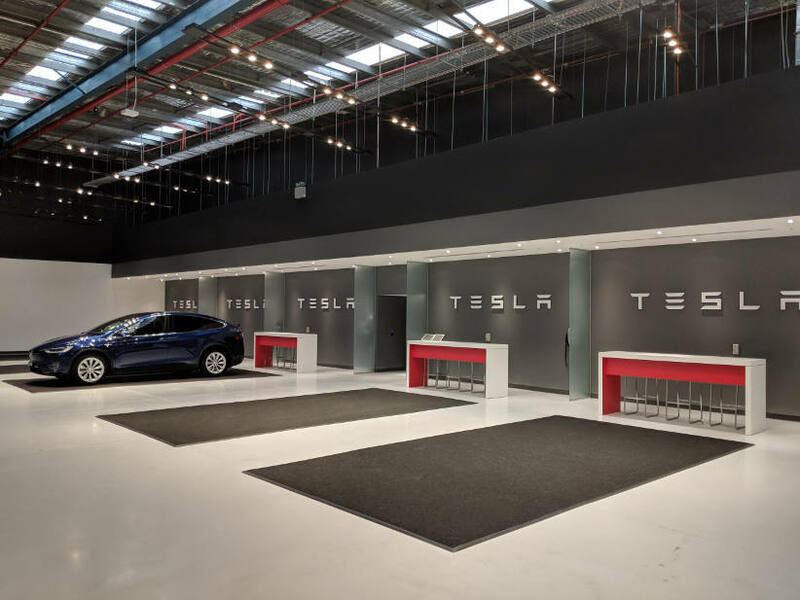 In addition to the launch of the mobile service program, Tesla has opened a Service and Delivery Centre in Sydney’s Alexandria which will assist in providing a convenient delivery and service experience for Tesla owners across the Sydney region. This facility will service the many owners of Model S and Model X, whilst also becoming the primary delivery centre for Tesla in Sydney, allowing for greater volume as the growth of electric vehicle ownership continues to grow. The Service and Delivery Centre will also house a Tesla Supercharger station furthering the metropolitan coverage, in addition to the growth regionally for the primary purpose of long distance travel. To allow for the growing number of Tesla owners in Australia to travel long distances with ease (with our range anxiety), a new Supercharger site has recently been opened in Narooma, New South Wales, with 18 more sites planned. Tesla’s investment in charging infrastructure has seen the deployment of over 21 Supercharger stations and 560 Destination Chargers in convenient locations across the country. The launch of mobile servicing, the new Service and Delivery centre in Alexandria and the expanding Supercharger network are all essential as Tesla moves towards the release of Model 3 in 2019. Model 3 is currently available for the public to see at Tesla stores at Chadstone in Melbourne, Martin Place in Sydney and Fortitude Valley in Brisbane.